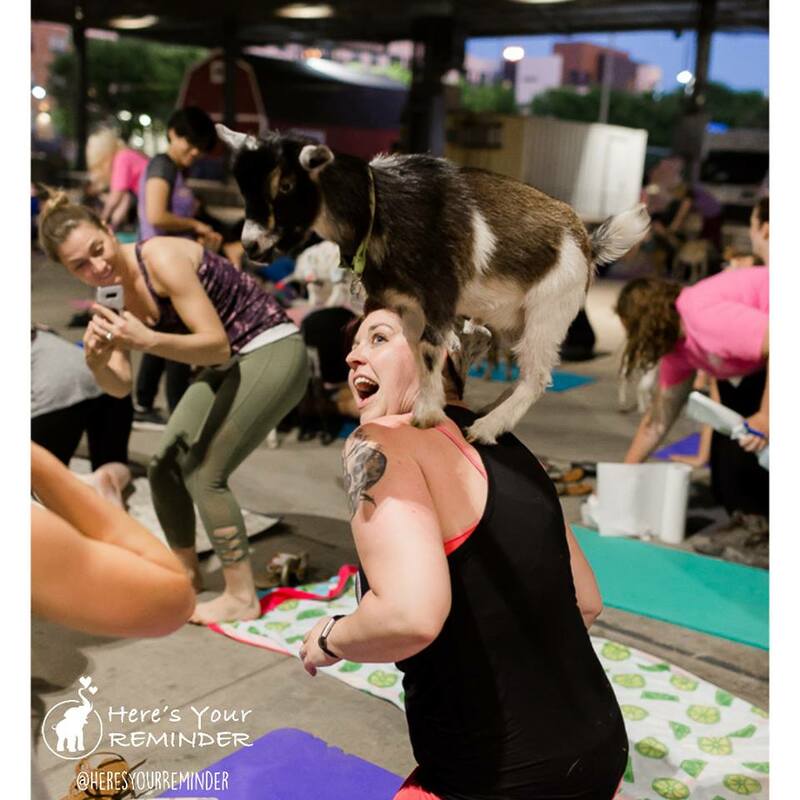 PLANO, Texas - June 19, 2018 - PRLog -- Here's Your Reminder Project is hosting a Happy Goat Yoga – for Charity fundraising event on June 26, 2018, 7:00-9:00 PM at the Omni Mandalay Hotel in Las Colinas, Tx. The event will benefit Duke Morse, a local photographer. Duke and his daughter recently lost their home and most of their belongings in a fire. Proceeds from this event will help them get back on their feet and replace their belongings. Exercise, animals & positive people are all recommended to relieve stress, anxiety and depression. All of these will be present at this fun event. Enjoy the beautiful courtyard setting on Lake Carolyn while you rejuvenate your body, mind, and soul all while giving back and enjoying the over friendly (and oh so cute!) 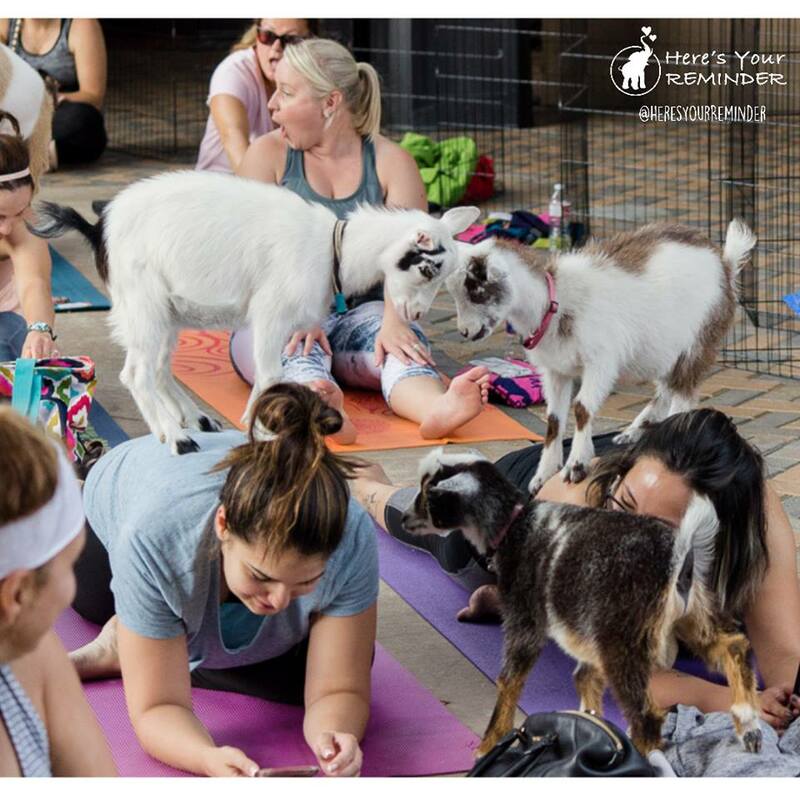 pygmy goats that run around, under, and over you! 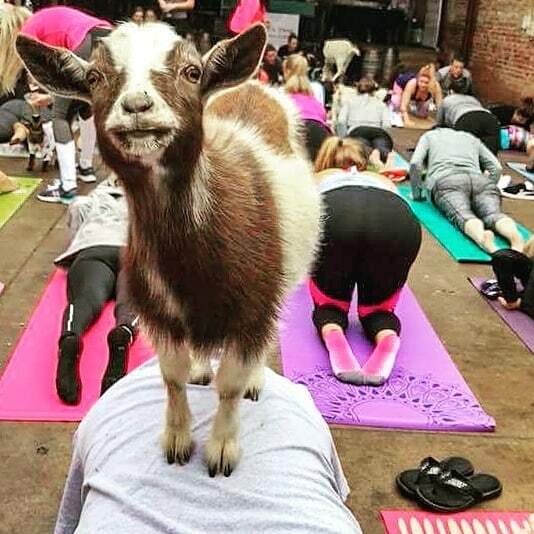 For those that aren't interested in yoga, there will be an additional goat playtime after the yoga class. Susan Martin, founder of Here's Your Reminder Project, says, "These happy-vibes classes are the perfect cure for a chaotic week. Plus, you have the added benefit of knowing that you are helping a local, small business man and father get back on his feet!" Additional donations are greatly appreciated and being accepted on the event page and Here's Your Reminder Project website (see links below). 1st hour= A peacefully set & lakeside, naturally hot goat yoga class taught by one of our awesome instructors! Shade provided. 2nd hour= Play Time! Stick around for extra selfie/play time with the cuties and complimentary Sangria (1 per person). Make your reservation, or make a donation, at: Eventbrite.com. Here's Your Reminder Project (a 501c3 non-profit) are committed advocates for depression and anxiety. We inspire and create Not-So-Random-Acts-of-Kindness™ to combat depression and broken relationships. Also, we strive to begin conversations about this illness, make it normal to speak about, understand and support one another, while getting rid of the negative connotation that this subject is usually connected to. Learn more by visiting their website: www.HeresYourReminder.org or social media: Facebook and Instagram.